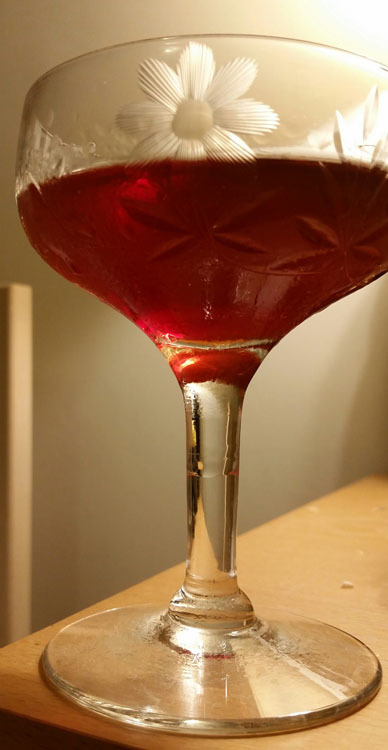 This page collects my notes on making classic cocktails and recipes for cocktails that I have concocted (either from wholecloth or as variations on other recipes). This is my preferred ratio when using Aviation gin; St George's Botanivore gin and Plymouth gin also work with this ratio. For other gins, the ratio may need to change. 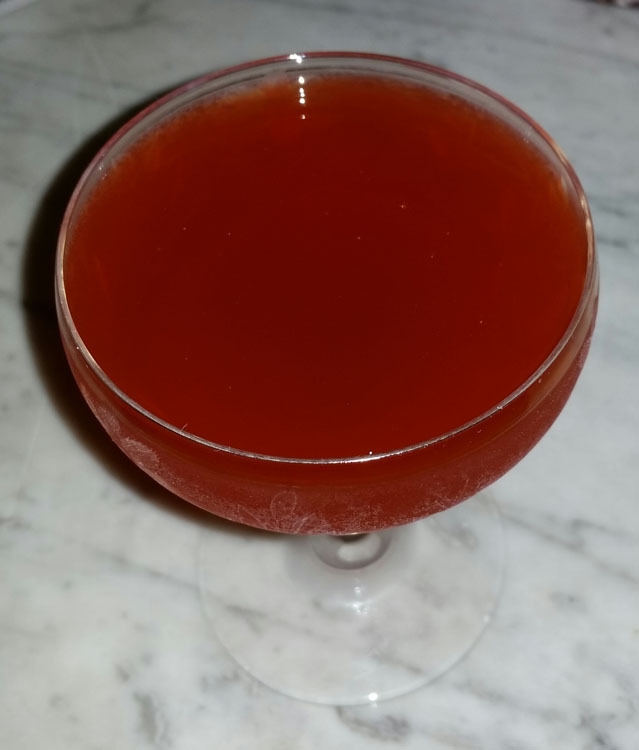 Best not-crazy-expensive ryes that I've tried in it: Sazerac 6-yr-old (if you can find it), Bulleit, Rittenhouse... otherwise, depending on the rye, you may need to change the ratio of sugar and bitters to rye. For instance, Old Overholt and Templeton are too sweet for this ratio. As for the absinthe, St George lends a deliciously rich quality to the drink; Vieux Pontarlier is ideal; something lighter, like Kübler, is only marginally better than a non-absinthe like Lebanese arak (which does make a decent substitute, although it's not quite viscous enough). 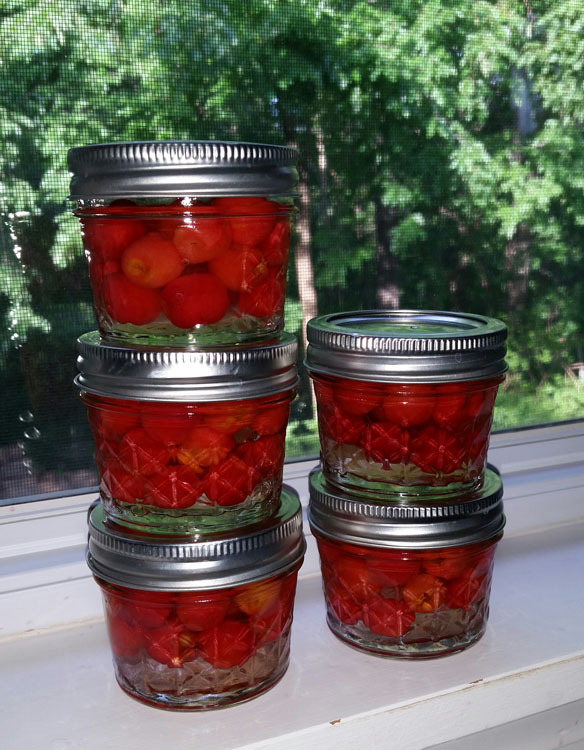 Use Melissa Clark's absolutely perfect (and very simple) recipe for making your own maraschino cherries. If the jar seals itself while cooling, unseal it; you're storing it in the refrigerator anyway, and nothing's been heated enough to be sterilized, so this way you won't risk botulism. Also, definitely use fresh sour cherries (so this is a once-a-year recipe). The cherries will improve immensely as they age. 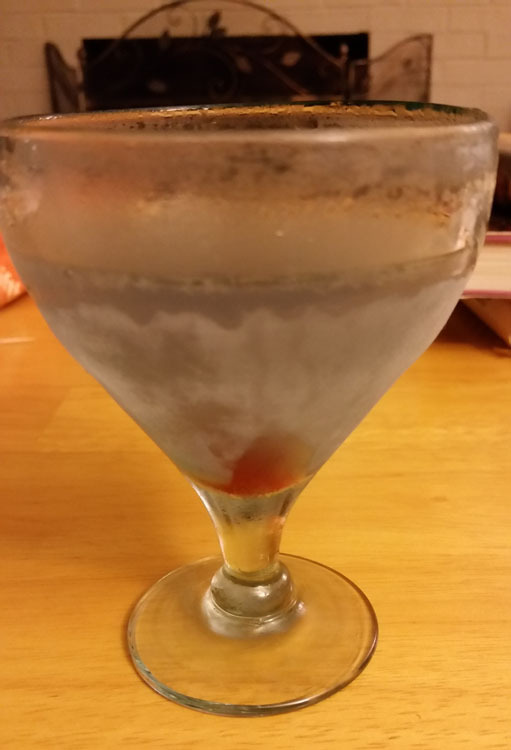 Stir with ice, strain into a tumbler or cocktail glass. Garnish with an orange twist. Stir over ice; strain into rocks glass with fresh ice. Combine ingredients in a small saucepan, stir over medium-high heat to dissolve sugar. At a high simmer, turn heat down to medium-low, let simmer for 5 minutes. Remove from heat, let sit for half an hour. Strain through a sieve (press solids to extract all the liquid) and then through a fine-mesh strainer into a clean bottle. Store in refrigerator for a couple of weeks. To extend shelf-life (still with refrigeration), add a pinch of cream of tartar when mixture starts to simmer, and add a splash of vodka after bottling. Shake over ice, double strain into cocktail glass. 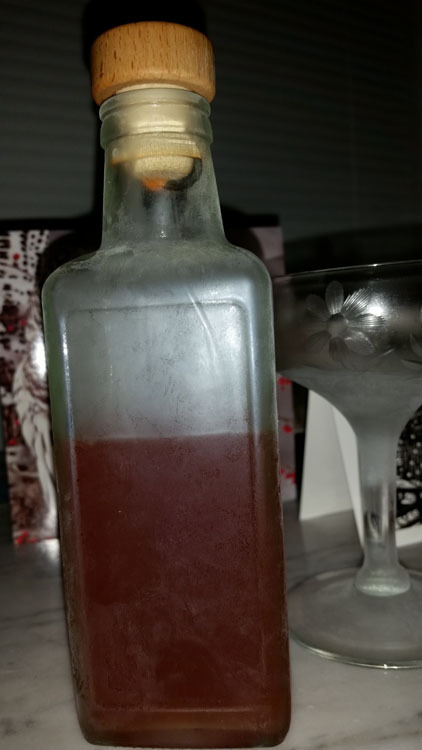 A note on the name: I put this drink together on Christmas Eve, with the intention of making something "Christmassy"; we were cooking a goose. Hence, I thought of "Christmas is coming, / the goose is getting fat..."
When properly diluted, this drink should be five ounces; you can also simply add an ounce of water and chill in the freezer for 30–45 minutes. No garnish, but a flamed orange peel might be nice. 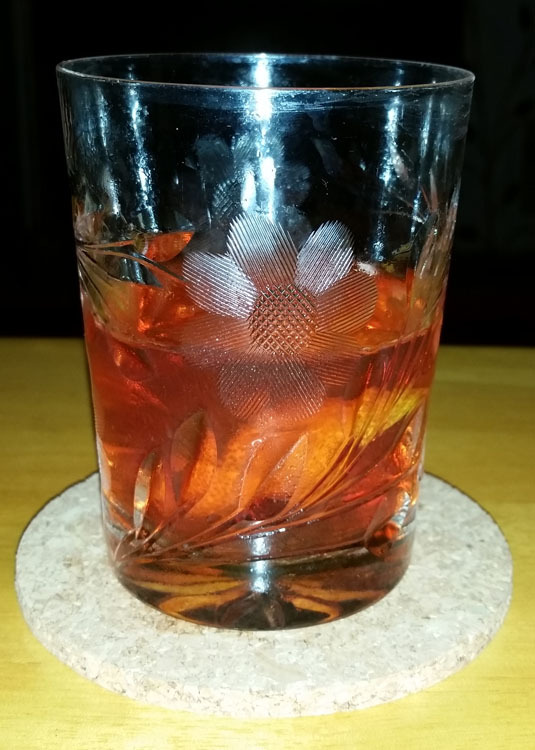 Rinse cocktail glass with 4 squirts Elemakule Tiki bitters (can also serve in an old fashioned glass, with a large ice cube); cherry garnish optional.